Years ago, you could call your Los Angeles pot product pretty much anything you wanted, and not only would you find a market for it, you were unlikely to face costly litigation if you swiped someone else’s style. As marijuana increasingly gains legitimacy across the U.S. (now fully legal in Canada), preserving your budding cannabis brand is becoming a significant legal issue for Los Angeles marijuana businesses. Our California cannabis attorneys can help you in this and other endeavors in launching – or rebranding – your legal marijuana business. Building on this previously-untapped market, long-time dispensaries are taking a new tact on branding, while those just breaking into the market are working on forging their recognition for the first time. Unfortunately, because federal law – specifically the U.S. Controlled Substances Act – remains at odds with the now-majority of states that legalize the drug in some form, not all types of intellectual property protection are available to marijuana businesses. Nonetheless, acting on available protections now can help combat copycats in the present while better positioning them to seize further opportunity if/when the government does repeal the CSA. What Exactly is My Marijuana Business Brand and Why Does it Matter? All businesses need some degree of differentiation to effectively promote, get people to know who you are, recognize you and cultivate loyalty. 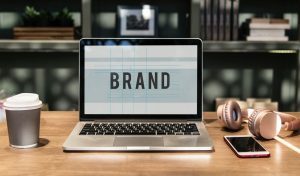 A “brand” is everything about you – from your name, your theme, slogan, the type of products/services you offer – down to the colors and font you choose. But as an L.A. marijuana intellectual property rights attorney can explain – not all of that is protected due to the unique legal status of marijuana businesses. By protecting your brand, you are protecting what makes you distinct from other businesses. The whole idea of intellectual property law is to promote innovation and creativity by awarding those who generate it – while depriving the copycats of those same rights. Innovation and creativity are investments. Intellectual property protections give you a way to make sure no on else profits form your ideas. What Intellectual Property Protections Are Available for California Cannabis Companies? Trademarks are symbols, designs, phrases or words that identify you and set you apart from the competition. Typically, you’d protect this by registering your trademarks with the U.S. Patent Office. Unfortunately, trademark protection is usually not available because of a clause in the U.S. Trademark Act that requires registrants to show they aren’t using their trademark in illegal transactions. Marijuana is illegal under federal law. What you can usually still file for is copyright protection, which doesn’t have this same requirement. You can theoretically argue commonlaw copyright without every needing to register for anything so long as the work is wholly original, somewhat creative and tangible/can be reproduced. Your marijuana intellectual property lawyer may advise you though to register whatever copyrighted material you can to be safe. However, while copyright laws may protect a logo (image), they probably won’t extend to your brand name, tagline, slogan, etc. That falls under the purview of a trademark. You can submit all of this for copyright protection and not receive a flat-out rejection (copyrights aren’t vetted the way trademarks are), but you may not be able to enforce anything in the copyright but the images. It’s important that whoever your cannabis business attorney is has experience in intellectual property law and understands how best to ensure your own work is protected from infringement – and also that you have solid legal standing if you’re accused of infringement by another company.